You may notice the new platform for these monthly newsletters. Let the MU Cambio Center know what you think. See past newsletters here. Thank you to all who participated in this year's conference! We had 170 registered attendees from 74 different institutions, including Extension services (32%); non-governmental organizations (20%); faculty (17%); students (17%); educators (7%); university staff (4%); and state/local government (3%). This mix of participants – researchers and practitioners from education, health, economic development and other fields – is the conference’s greatest strength. 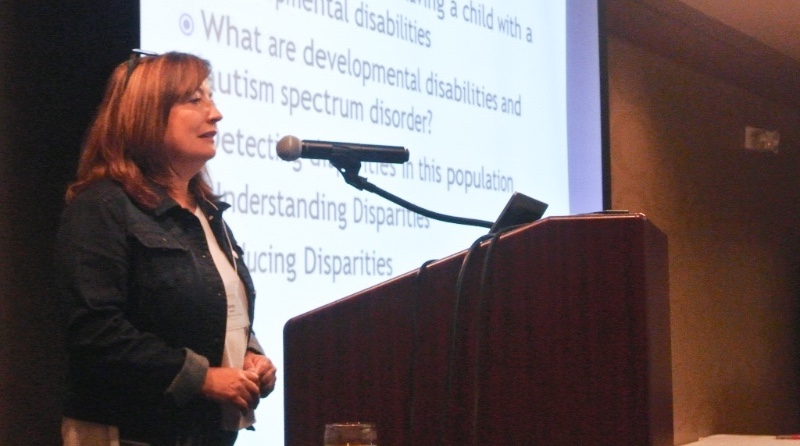 We had 62 presentations, including nine workshops, stretched across 25 breakout sessions. Our four plenary speakers were Drs. Juan Andrade Jr., Gustavo Carlo, Edmund ‘Ted’ Hamann, and Sandra Magaña. This was our second year to have a poster session and had 14 posters across many topics. The conference received overwhelmingly positive feedback through evaluations from attendees, including those who praise the conference for having "such a wide variety of topics, amazing presenters and speakers, and so many people with similar views and goals." The plenary speakers were appreciated for their "great information and research" and for being "extremely knowledgeable, passionate, and engaging." Many participants noted that the networking possibilities offered by the structure of the presentations was one of the best things about the conference. Footage of Dr. Sandy Magaña's and Dr. Gustavo Carlo's plenary speeches are now available on the Cambio Center's YouTube channel. The 16th annual Cambio de Colores conference planning is underway. If you would like to be part of the Planning Committee, we welcome all levels of commitment. Contact decolores@missouri.edu. 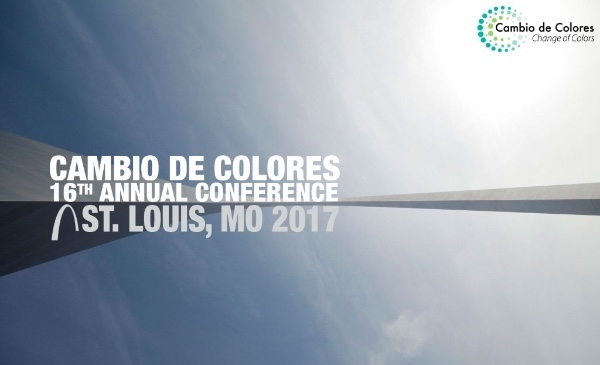 The 16th annual Cambio de Colores conference will be in St. Louis. 2015 Proceedings Book is available! The proceedings book from last year’s conference is available. This book has abstracts from the 2015 conference, plus seven selected papers in health, education, critical media literacy, intercultural competence, and more. A bilingual article is available on how a community worked to create a dual language program in a Wisconsin school district. Plus learn what researchers and practitioners are doing across the Midwest and the US to build leadership for inclusive communities. See the Cambio de Colores library for a free download. The Cambio Center was recently awarded a $477,860 grant from the USDA's Agriculture and Food Research Initiative (AFRI). The Latino Agricultural Entrepreneurship Project is led by faculty from the University of Missouri, Michigan State University, and Iowa State University and is designed to explore the needs of Latino farmers, understand their unique livelihood strategies, and better prepare agencies to work with Latino farmers. Visit the Cambio Center website to learn more about the project. Cambio Center student fellows meet regularly to exchange ideas, share work, and receive feedback from their colleagues. Any graduate student whose work is related to the Cambio Center mission is invited to become a Student Fellow. Interested students should submit a CV and/or short statement about how their interests connect with Cambio. Student fellows are matched with a Faculty Fellow mentor. We have a program of activities to support their work, including networking and research opportunities. Please recommend and refer students to join! Many conference presenters have shared their powerpoints, which are linked as PDFs on the program page. Presentations are available from Adkins, Bao, Curtis, Dirks, Dorner, Inzunza, McNelly & Dawson, Mohammed, Pope, and Sierk. The Immigrant Learning Center Public Education Institute and the American Immigration Council hosted a free online workshop Immigrant Student Success: Models and Tools for K-12 and Adult Educators in July of 2016. 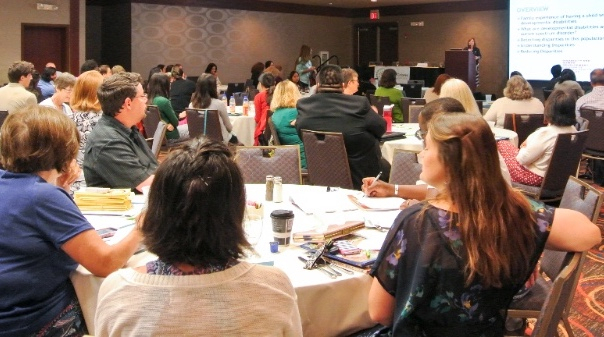 The workshop allowed 13 presenters to share their expertise with educators from 35 states for strategies and ideas to bring out the best in students. Learn more about the workshop here. History of Latinos/as in Missouri. The deadline to complete the application is September 1, 2016. Click here for the online application form and more information.